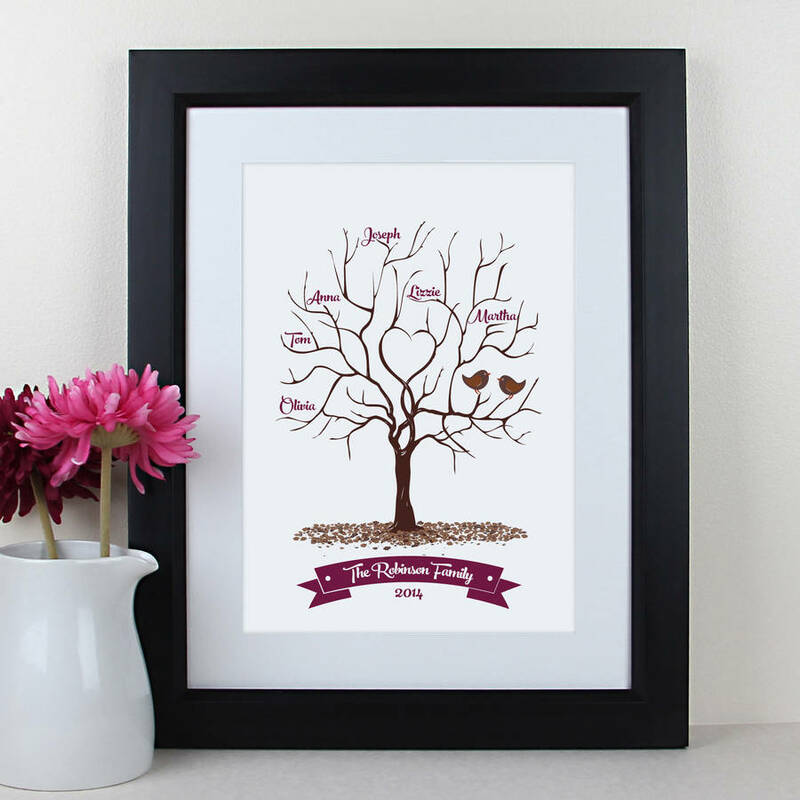 Our personalised family Fingerprint Tree is a unique fun gift for a family to complete with their fingerprints. 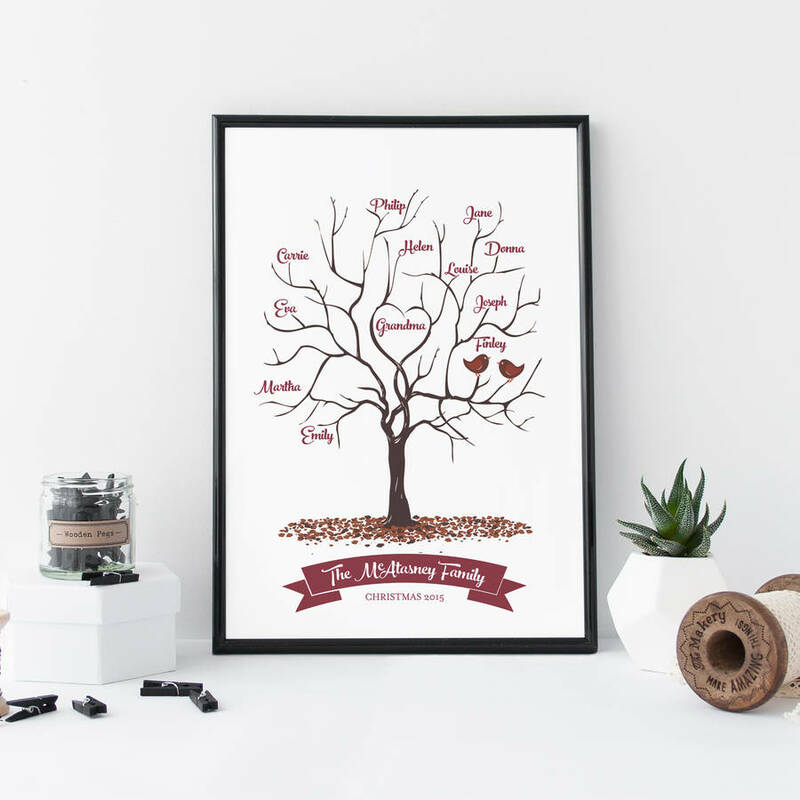 This personalised fingerprint tree print is an ideal gift from grandparents, parents or a gift for a family. Christmas is the perfect time when all the family is gathered round for them to complete the gift. It is a fun interactive gift that creates memories. It makes a truely lovely keepsake to hang in their/your house and be a great talking point in the home. 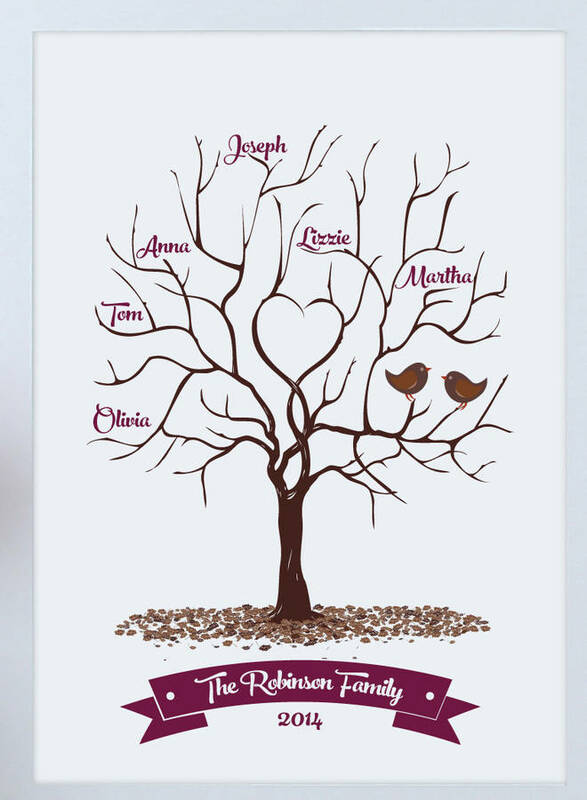 The leaves of the tree are completed by the family members/friends placing fingerprints on the print. I'd suggest having a pack of wipes on hand to avoid stained fingers! 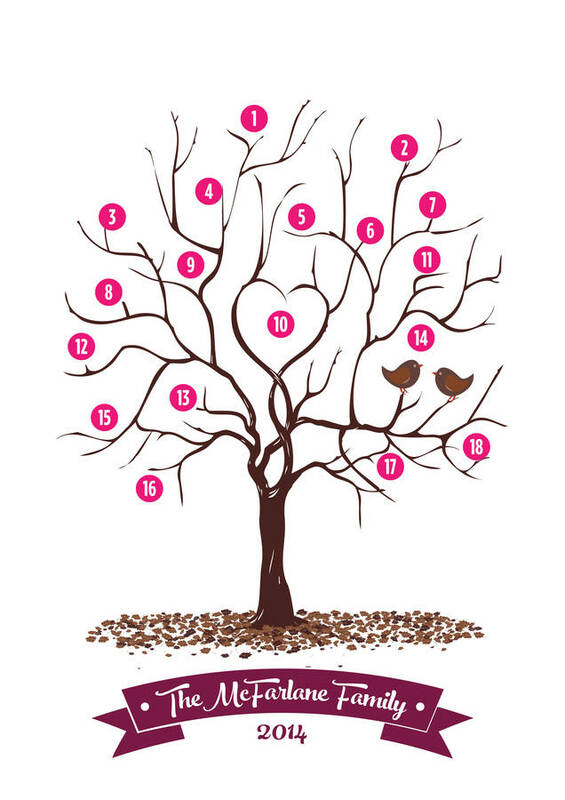 There are 18 positions within the branches of the tree, see image. When ordering please enter the names in the positions required. 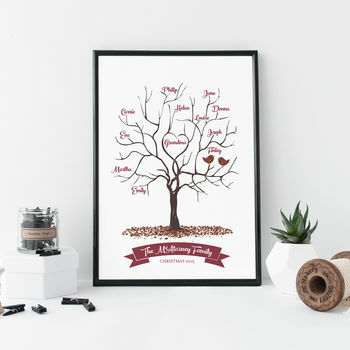 For example you may have 4 names you want adding to the tree, and decided you would like these are in position 4, 8, 11 & 13, so enter the names in those fields when ordering. A proof can be emailed to you before the artwork is sent to print to ensure the everything is correct, however this will impact on delivery times and requires you to approve as soon as possible. To speed up the process you can choose not to receive this when ordering. They are posted first class recorded delivery in a stiff envelope, so will need a signature. Size is A4 (29.7cm x 21cm) or A3 (42cm x 29.7cm) Note the print is unframed, but as they are standard sizes frames are easily available.